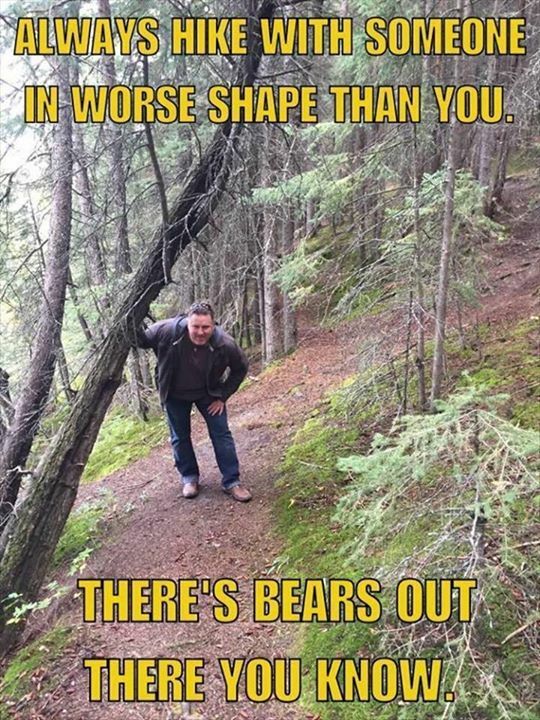 ALWAYS HIKE WITH SOMEONE IN WORSE SHAPE THAN YOU. THERES BE - ProudMummy.com the Web's Community for Mums. ALWAYS HIKE WITH SOMEONE IN WORSE SHAPE THAN YOU. THERE'S BEARS OUT THERE YOU KNOW.